Digifly Marketing is a leading New York SEO service, providing premium search engine optimization services to businesses in and out of state who are looking to grow. Being a business owner and marketing yourself online is both a rewarding and challenging experience. Who can you ask for help? Certainly not your competitors. If you’re not seeing the improvements you want with your current internet marketing strategy, let us help you. We’ll work to move your website to the top of the search results so you can generate more sales. Get in touch with us for a free consultation. As a virtual service, we work remote from all over the country. So, while New York is our primary target, we currently service clients in 27 states. If you’d like to get in touch, please fill out this form and we’ll reach out shortly. SEO services improve a website’s organic rankings for target keywords in search engines like Google, Yahoo, and Bing. With hundreds of competitors in every niche, strong search engine optimization is the only way to differentiate your business online and capture the majority of the market share in your city. There are more than 2 billion people searching for products and services online. 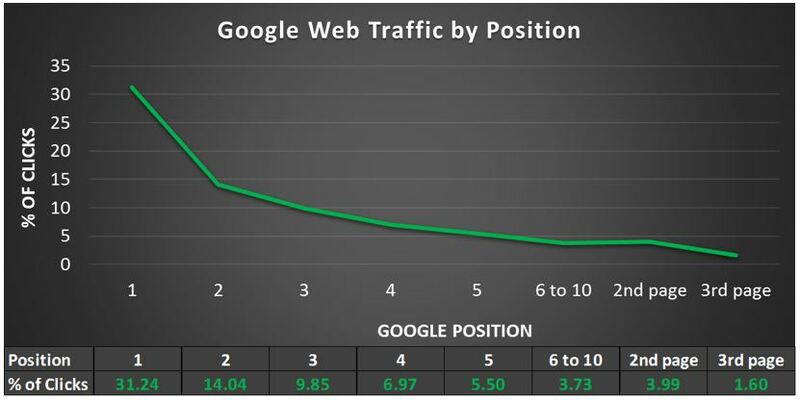 93% of them prefer to buy online and more than 55% of the traffic goes to the top 3 businesses in the search results. High website rankings means big money, which is why the competition intensifies day by day. The top ranked website gets 31% of the traffic – nearly 1/3rd of the customers! The 5 businesses on the bottom half of the 1st page (spots 6-10) get less than 4% combined. In total, the 10 businesses on page 1 gets almost 75% of all traffic. Page 2 and beyond get the scraps. Take a roofing company for example. If 1,000 people search for a roofer, 713 go to page 1 and only 37 go to page 2. Imagine each those jobs was worth $1,000. $713,000 of business went to the front page and only $37,000 made it to the second page. Bottom line: If you’re not on the front page for the keywords that matter, you’re leaving thousands of dollars on the table. Why Choose Digifly Marketing as your New York SEO Service? When it comes to finding the right SEO service for your organization, we realize that you have a choice and understand that you deserve nothing but the best. That is why we deliver premium search engine optimization and promise to provide the highest level of customer service. With our team, you are not just a number. Years of experience in this industry has given our team the knowledge and expertise that’s needed to increase traffic to your website so you can attract more customers. We treat every client as top priority, which is why we’ve seen so many great results over the past 10 years. We’ve generated millions of dollars in sales for the clients that retain our service. Give us a call today to learn more about how our New York SEO services can benefit you, or fill out the form below.